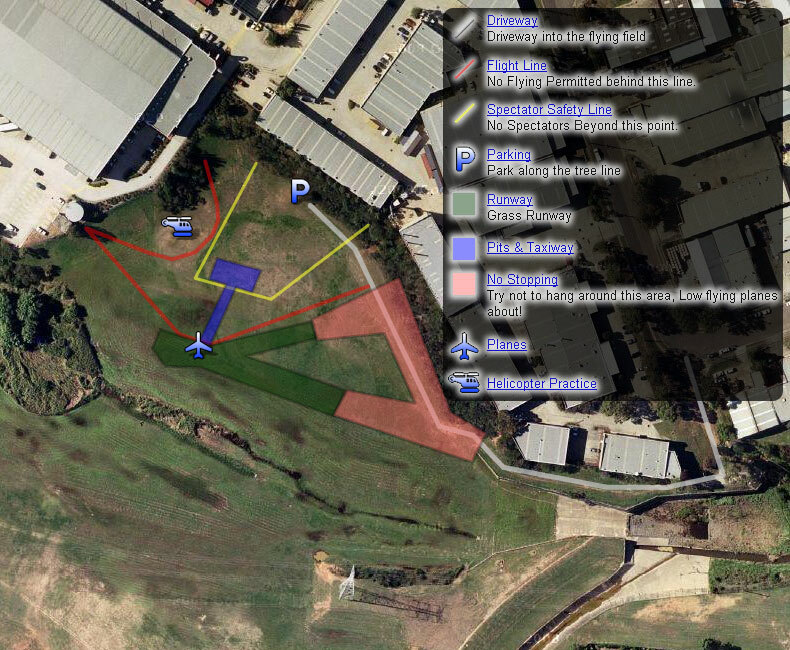 Parramatta Remote Control Aircraft Club Incorporated is an predominantly electric club 20 minutes from the heart of Parramatta in Western Sydney, The site has been established in a floodwater retention basin and is leased from Parramatta City Council. Being a flood basin means that when it rains, we may lose the field for a few days but it does drain extremely quickly, rain on Thursday or Friday doesn’t usually ruin Saturday flying unless it was torrential! Members can usually be found on the field when weather is good on Saturday & Sunday mornings after 9am & some Wednesday’s. The majority of our members are currently flying with 2.4ghz radio’s but we do have a pin board for frequency control if needed. Click on the image to jump across to Google Maps and get directions to our field.